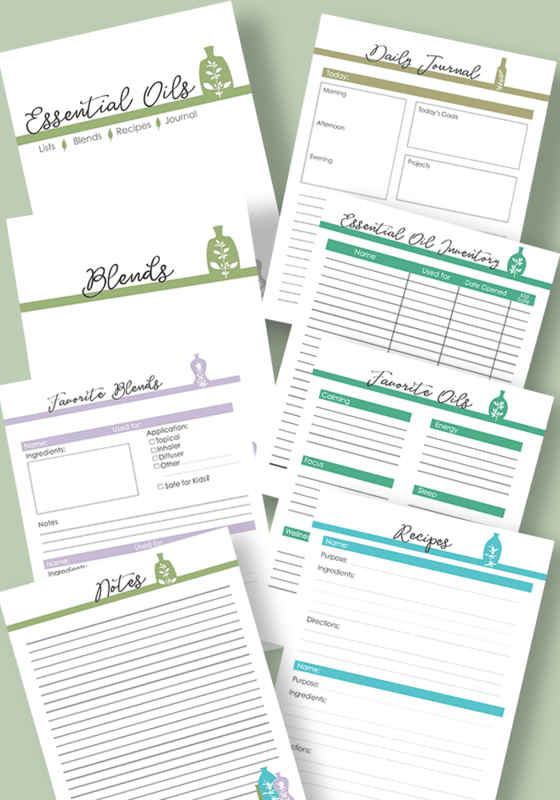 Get organized with a printable essential oils binder for oils inventory, blends, DIY recipes, and more. When I first started using essential oils, I dove right in and started to learn all that I could about how to use them safely and effectively. With kids and pets in our family, I wanted to take care that I was doing things right from the start. I checked out a huge stack of essential oil books from the library and scoured Pinterest for DIY projects and blends. I found so many great ideas that I wanted to try everything! But then I started getting overwhelmed with so much information. So my first step was to create an essential oils binder to keep all of my oils, blends, recipes, and notes in one place. And I have it here as a printable for you too! If you use essential oils, you likely have some favorite blends and DIY recipes. And I'm sure (like me) you are always looking for new ways to use your oils. But keeping track of each oil's uses and properties can make your head spin after a while. Not to mention remembering which oils you have and when you opened them! It's important to keep all of this information organized so that you don't misuse your oils and so that you know what you have when you need it. 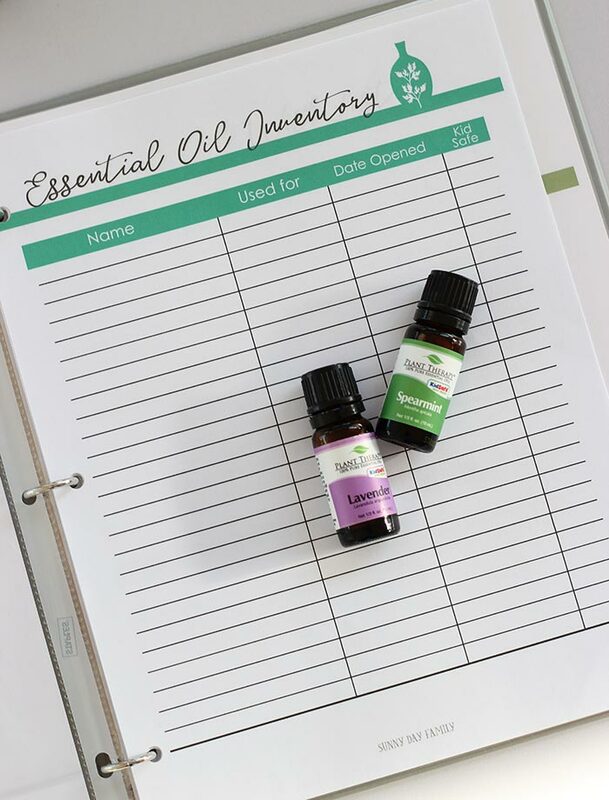 Having an essential oils binder is a lifesaver when it comes to keep all things oils together. 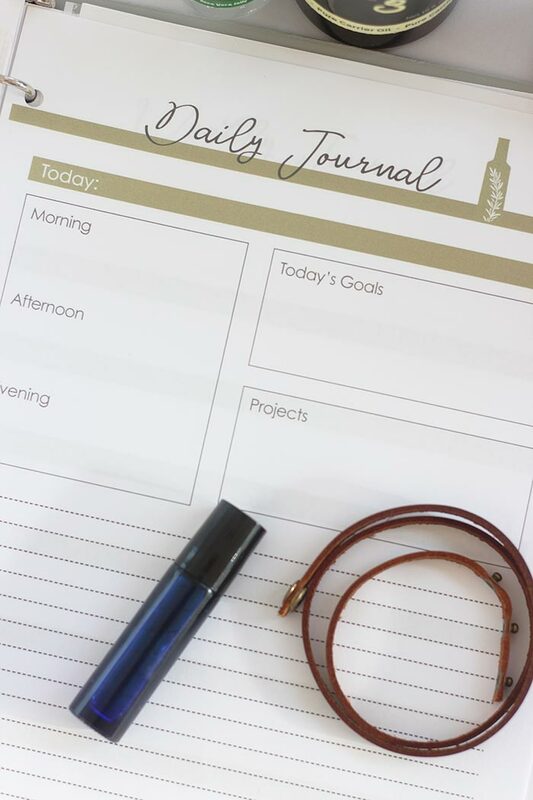 This set is customizable and flexible to help you keep track of your oils, projects, and so much more. Let's take a peek inside. Now you can order a printed version of this planner on Amazon! See it here. This printable binder set has 5 sections and 150 total pages to let you create the perfect organizing system for you. 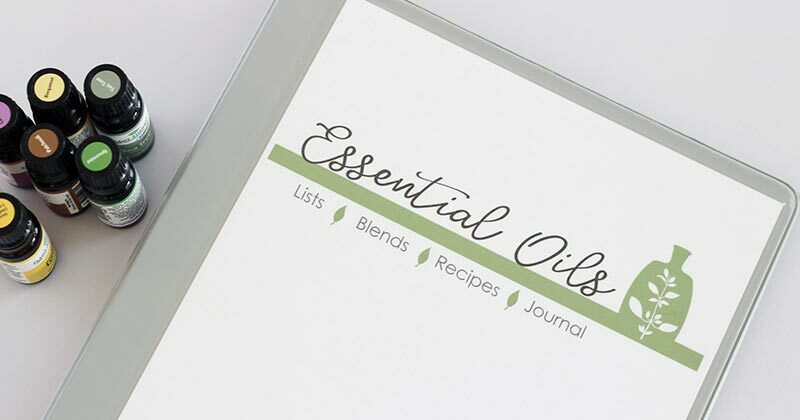 Whether you are new to essential oils or a seasoned pro, you'll find space to keep all of your essential oil information close at hand and easy to find. Or order a print version on Amazon here. 2 Favorite Oils Lists: one by category and one that is customizable. 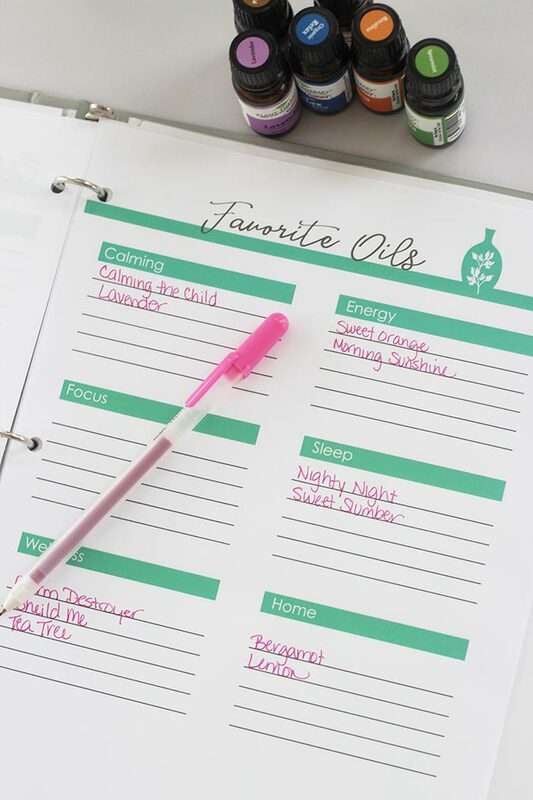 This is a great way to keep track of which oils you have and their best uses. The Favorite Blends page is the perfect place to keep track of blends that you've perfected (or found). There are spaces to name your blend, note its uses, ingredients, applications, and any notes. 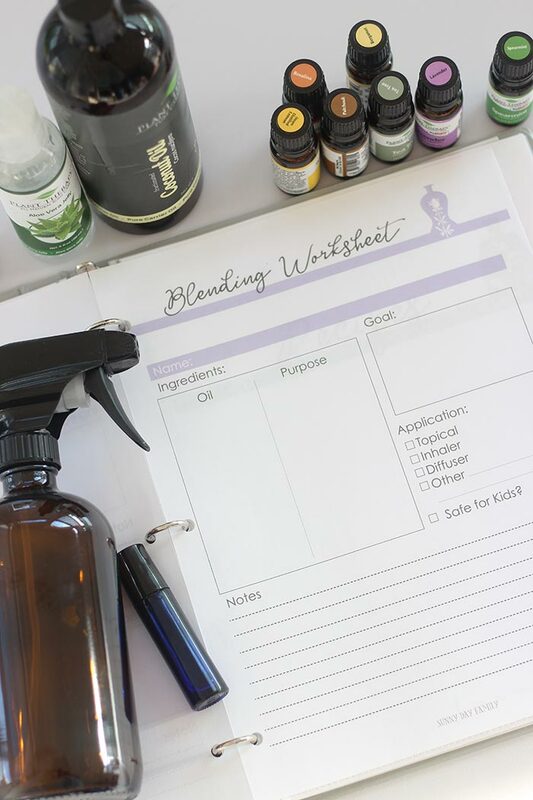 The Blending Worksheet is a place to take notes when you are experimenting with new blends. You can test out new recipes, keep track of your results, and once they are ready move them to your favorites page. The next section is for Recipes and includes 2-to-a-page recipe cards for all your favorite DIY projects like cleaners, linen sprays, bath salts, and more. You can use these cards or print your favorite recipes to include in this section of your binder (or both!). Finally, you'll find a Journal section with daily and weekly diary pages and a Notes section for anything else you want to include. And since this is a printable set, you can customize it as you'd like to meet your needs. You can move the sections to any order that you choose to create the binder that is best for you! 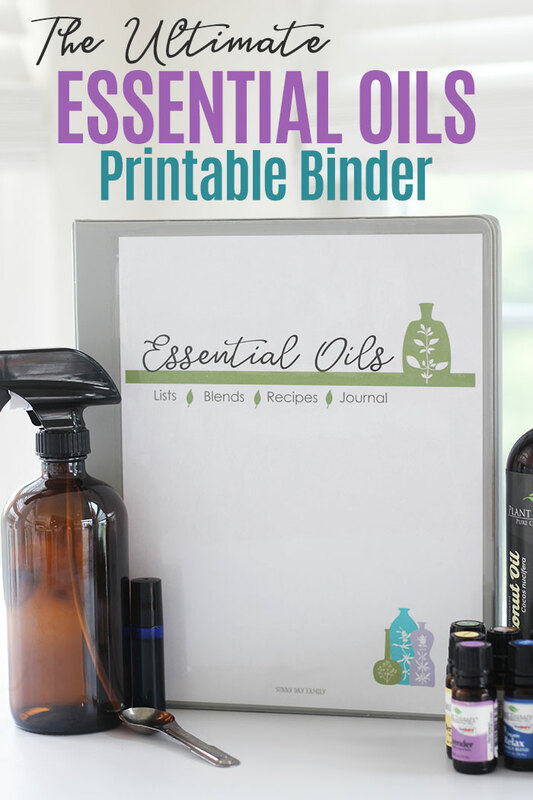 Ready to organize your essential oil information in one handy, easy to use binder? Simply click the button below to get your printable binder set, then grab a 3 ring binder and get started! Order the print version on Amazon here. Take a peek inside the binder below! 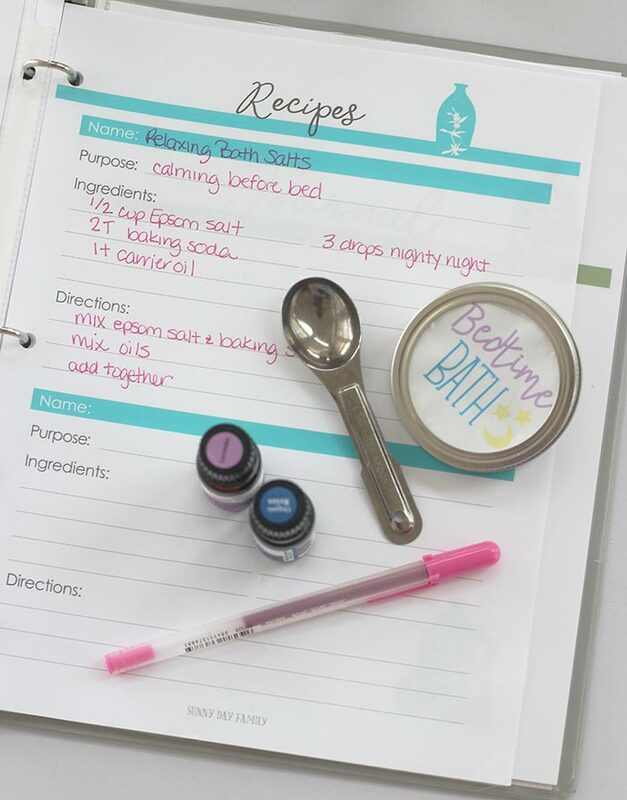 Want some family friendly essential oil DIY projects for your new binder? Click here to see all my favorites!